The Spooktacular Century is a difficult mountain-rural ride (with a Halloween theme), starting east of Bakersfield and leading into the Southern Sierra and Sequoia National Forest. After a few miles of rolling hills on Comanche Drive, the route turns onto Breckenridge Road, the major climb of the day. While the average grade for the next 20 plus miles is less than five percent, there are several sections with double digit grades towards the top. 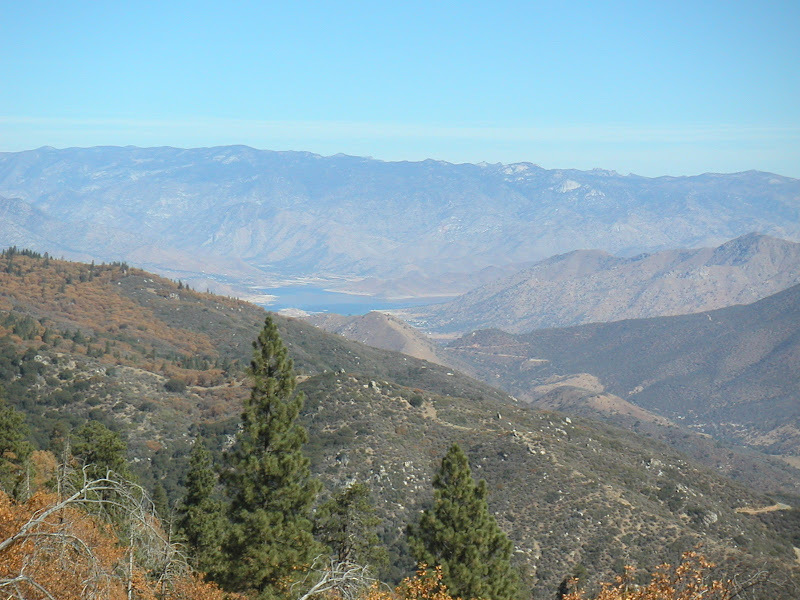 On the other side of the mountain, a long descent with view of Lake Isabella in the distance awaits. The next section leads up Caliente-Bodfish Road and eventually down to the Walker basin. After several flat miles, Walker Basin Road slowly ascends towards Twin Oaks, followed by a long gradual descent on Caliente Creek Road into Caliente. 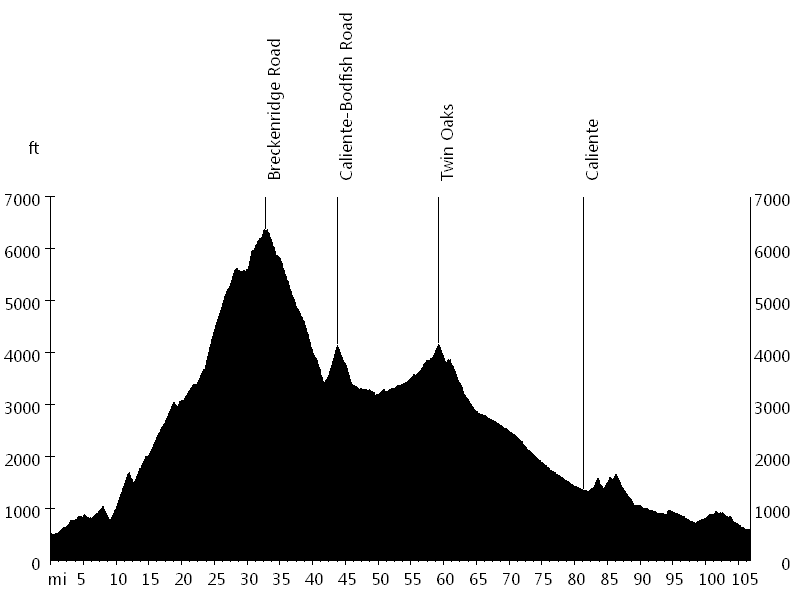 The course then continues on Caliente-Bodfish Road and Bena Road, which presents some short climbs followed by a downhill and flat section, before turning into Edison Highway. Comanche Drive eventually leads back to the starting point. We encountered only few cars on this course, but sometimes the cows were all over the road.